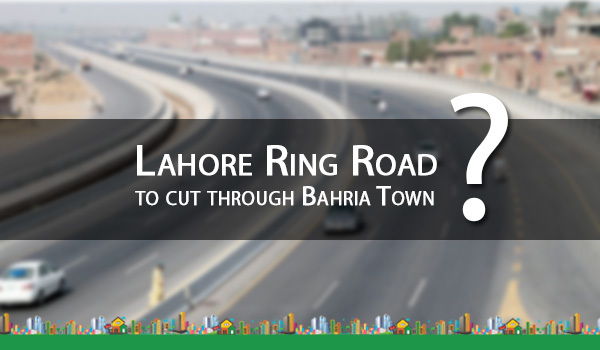 The dilemma of Lahore Ring Road (LRR) cutting through Bahria Town still persists and property owners in the locality are confused about the future of their respective investments. In our previous post on the issue, we shed some light on how the Lahore Ring Road Authority (LRRA) started bulldozing Bahria Town’s boundary wall and how the Bahria Town management showed resistance against the move. After these events, Bahria Town invited victims to fill out a form and agree on the allotment of alternate properties anywhere in Bahria Town, a move that was met with immense resistance from the victims. Resultantly, Bahria Town suggested the formation of a committee comprising six members, including two individuals from Bahria Town management, two registered dealers of the society, and two representatives of residents/victims. Currently, the committee representing victims is compiling details of all the affected properties. In the first phase, details about houses and other commercial buildings will be gathered by August 30, while in the second phase, information about plots will be collected. According to the sources I have conversed with, police officials have also been deployed in Bahria Town to patrol the LRR route. Now the developer will either provide alternative properties of similar value to affectees or will compensate them according to the market value of the properties they owned. In either case, affectees will have to forfeit their properties. 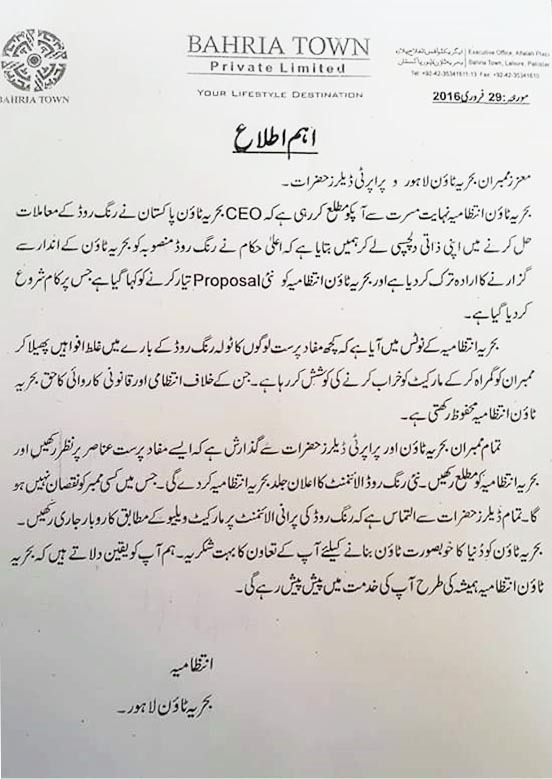 The notice clearly stated that the authorities concerned have dismissed their idea of developing package III of LRR in Bahria Town and has told the developer to propose an alternate plan in this regard. However, now the situation has been turned on its head and it is looking like the development of LRR in Bahria Town will proceed, as preparations are being made to compensate victims. Victims need to stick together and align their strategies with the Bahria Town management. I understand this a difficult time for them, but they should act wisely given the current situation. I also hope that Bahria Town will not leave the victims high and dry and will compensate them in the best manner possible. I will keep you posted about the latest developments on the issue. Stay tuned to Zameen.com Blog!